Everyone from scientists to environmentalists to beekeepers are clamoring for more research on the effects of neonicotinoids on honey bees. 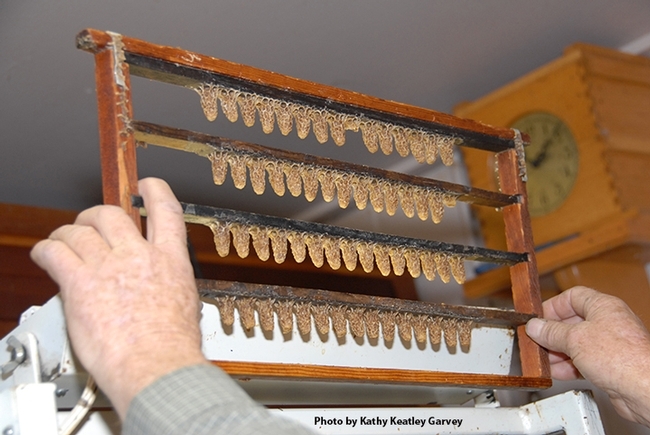 How do neonics affect queen bees? 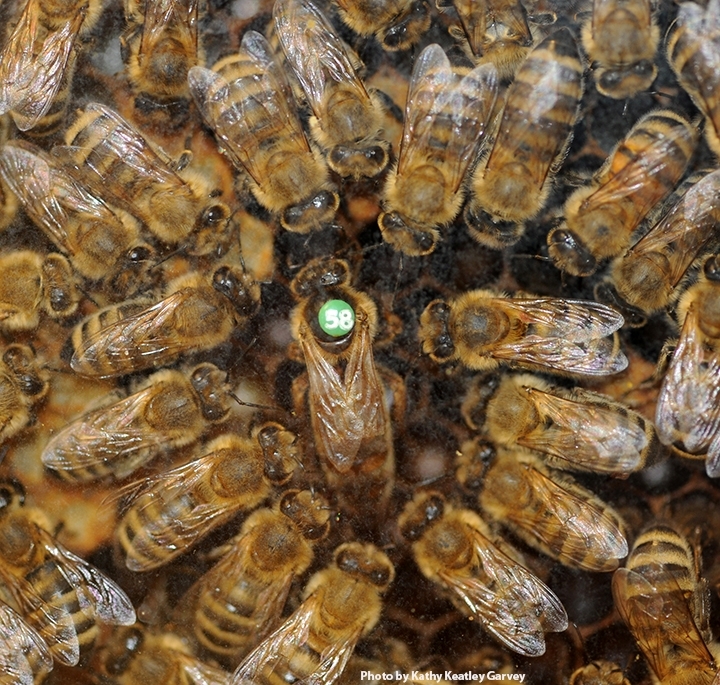 Newly published research led by Geoffrey Williams of the Institute of Bee Health, Vetsuisse Faculty, University of Bern, Switzerland, indicates that neonics severely affect queen bees. 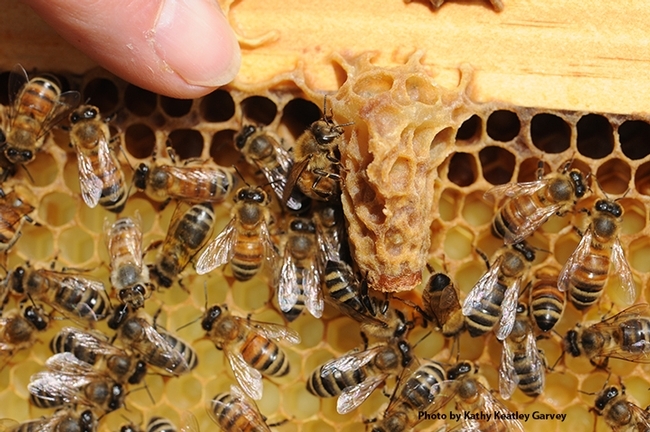 "Queen health is crucial to colony survival of social bees. Recently, queen failure has been proposed to be a major driver of managed honey bee colony losses, yet few data exist concerning effects of environmental stressors on queens. Here we demonstrate for the first time that exposure to field-realistic concentrations of neonicotinoid pesticides during development can severely affect queens of western honey bees (Apis mellifera). In pesticide-exposed queens, reproductive anatomy (ovaries) and physiology (spermathecal-stored sperm quality and quantity), rather than flight behaviour, were compromised and likely corresponded to reduced queen success (alive and producing worker offspring). This study highlights the detriments of neonicotinoids to queens of environmentally and economically important social bees, and further strengthens the need for stringent risk assessments to safeguard biodiversity and ecosystem services that are vulnerable to these substances." Williams and his research team correctly noted that "a plethora of literature has demonstrated lethal and sub-lethal effects of neonicotinoid pesticides on social bees in the field and laboratory" but that much of that research was done on worker bees. "In this study, we hypothesised that exposure to field-realistic concentrations of neonicotinoid pesticides would significantly reduce honey bee queen performance due to possible changes in behaviour, and reproductive anatomy and physiology," they wrote. "To test this, we exposed developing honey bee queens to environmentally-relevant concentrations of the common neonicotinoid pesticides thiamethoxam and clothianidin. Both pesticides are widely applied in global agro-ecosystems and are accessible to pollinators such as social bees, but are currently subjected to two years of restricted use in the European Union because of concerns over their safety. Upon eclosion, queens were allowed to sexually mature. Flight behaviour was observed daily for 14 days, whereas production of worker offspring was observed weekly for 4 weeks. Surviving queens were sacrificed to examine their reproductive systems." "Current regulatory requirements for evaluating safety of pesticides to bees fail to directly address effects on reproduction. This is troubling given the key importance of queens to colony survival and their frailty in adjusting to environmental conditions. Our findings highlight the apparent vulnerability of queen anatomy and physiology to common neonicotinoid pesticides, and demonstrate the need for future studies to identify appropriate measures of queen stress response, including vitellogenin expression. They additionally highlight the general lack of knowledge concerning both lethal and sub-lethal effects of these substances on queen bees, and the importance of proper evaluation of pesticide safety to insect reproduction, particularly for environmentally and economically important social bee species." Read the full report. Meanwhile, the University of California, Davis, just held a sold-out conference on neonics. The speakers' presentations (slide shows) are posted on the California Center for Urban Horticulture's website. Everyone agrees on this: more research is needed.